Hello fellow bloggers, friends, amazing parents, and grandparents. I have found a site that will suit your needs. I am a mother of 2, a girl and a boy. They're about 2 years old, and 1 year old almost. As a parent, we love to buy nice stuff for our kids. 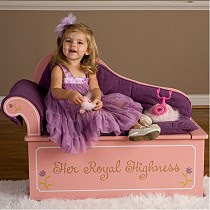 I love buying cute stuff for my kids as well especially for their bedroom. I have looked around at Ultra Quirky Tot, and I myself fell in love with the stuff that they have. They sell clothes, beddings, mom/toddler gear (which is cute) and many more. I fell in love with their bookshelves. I would love to get one of these in the future for my daughter and for my son. 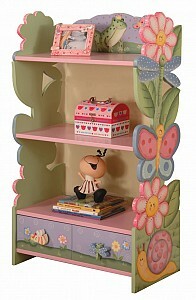 My Ideal bookshelves for my son and daughter. While I was browsing more cute stuff on their site, guess what I have found.. and I was like, "OMG!" these would fit perfect for my princess. I was holding my breath because this one is just so cute. They also have the cutest children's outdoor furniture too. I can't wait to show this to my husband. It's perfect for christmas and birthday presents. I had fun, for sure you will too. Ultra Quirky Tot is offereing 10% off discount for all Le Petite Paradis readers. Simply use the coupon code 'Paradi'. It's awesome deal until November 30, 2012. Beautiful product that comes with beautiful discount. And I know, you will love it too. omgosh that is too cute!! love the bookshelves. 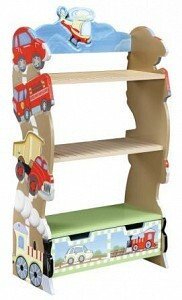 with having boys though, they so love to climb those book racks and then I got so scared that they are gonna fall lol. I truly love this bookshelves though. Followed you from the blog hop. pls kindly follow back :) thanks so much. and if you don't mind, pls also subscribe to my youtube channel? again, Thanks! keep in touch.